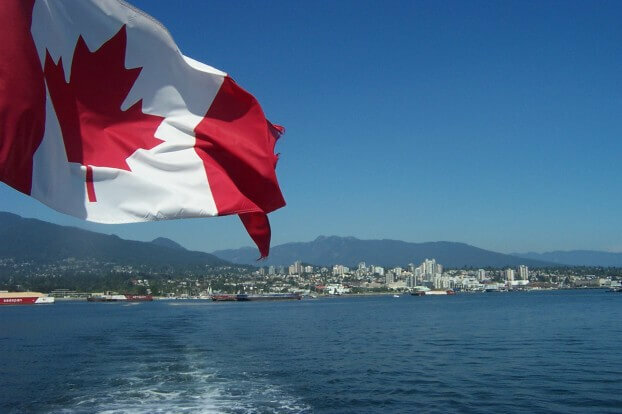 One often overlooked market for online poker operators & affiliates is Canada. They are the friendly neighbors to the north of the USA and they also have produced some of the most well know poker professionals. Some of the more notable names who call Canada home are Jonathan Duhamel, Daniel Negreanu, Evelyn Ng, Kara Scott & Gavin Smith. Jonathan & Daniel both are sponsored pros for PokerStars while Kara Scott is a pro & spokesperson for Party Poker. While Gavin Smith used to be the face of old Full Tilt Poker but is currently not sponsored at the present moment. You can view the full list of Canadian poker professionals here. On top of producing some well known poker players Canada also offers a robust online poker market. Canada currently has a population of 34.88 million and growing which helps make it a very liquid and worthwhile country for operators & affiliates. The top three poker sites with regards to players playing from Canada are 888 Poker, Titan Poker. There are several other well known online poker sites that cater to this huge market and for a full list Canadians should look here. One of the big items for players from Canada who are looking to find a good poker site it to make sure the site takes the Canadian Dollar. On top of accepting the Canadian Dollar the sites needs to offer a wide range of deposit and withdrawal options that use the Canadian Dollar. If the option does not take the currency players can see huge swings in value when its converted and deposited into your bank account. The most popular ewallets that accept the Canadian Dollar are Click2Pay, ClickandBuy, Instadebit, Moneybookers & UsemyBank. On top of ewallets the Canadian banking system allows Visa, Mastercard & eChecks to be easily used on poker sites. On top of currency, a site also needs to offer customer service in both English & French. As well as software in both of those languages as Canada is a dual language country. Last but not least, players need to make sure the site they finally do decide to play on is not a fly by night operation. If you stick to the big three of 888 Poker, Titan Poker players should not have an issue. 888 Poker – According to PokerScout.com, 888 Poker is the 3rd largest poker network in the entire world. During peak times players will be able to play against 3,500+ players who all partake in cash games. Other notable sites on the 888 poker network is LuckyAce Poker & WSOP.co.uk. The owner & operator of the 888 Poker Network is 888 Holdings PLC, which is pubically traded on the London Stock Exchange under the symbol 888. Titan Poker – This site is part of the iPoker Network and the network is currently the second largest in the entire world. The network has peak cash game players of just under 4,700. Some other notable sites on this network is William Hill Poker & Mansion Poker. Titan Poker is independently owned but the iPoker Network is owned and operated by PlayTech which just like 888 Poker is also pubically traded on the London Stock Exchange under symbol PTEC. Out of all three in our view the best site for players from Canada is 888 Poker. The main reason is the anonymous poker tables and 888’s ability to convert sports punters into fish poker players. It makes it truly easy hunting for seasoned and advanced players. 888 Poker also offers one of the best deposit bonuses and some of the fastest payouts out of all the major poker sites.